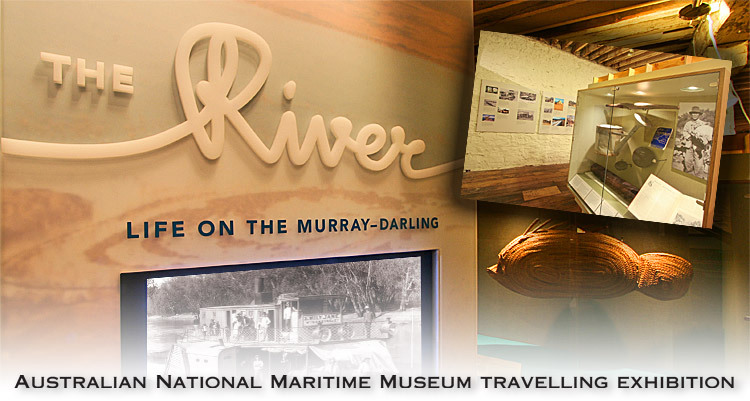 This page is presented as a small highlight of this quality Australian National Maritime Museum travelling exhibition The River - Life on the Murray-Darling. A fascinating and rewarding exhibition giving you a great insight to a way of life that has helped carved our Australian culture in the Basin. From Soldier Settlers to Paddleboats, the Murray Cod to Wool life. It contains some wonderful interactive exhibits and some very rare items gathered from all over Australia. Please visit this exhibition as it tours the Murray-Darling Basin. Thank you to the Australian National Maritime Museum Travelling Exhibition and the South Australian Maritime Museum for allowing Discover Murray to present this wonderful exhibition to you. by providing funding assistance for the development and touring of cultural material across Australia.